"My wife Sharon and I have planned several vacations through Gottago Discount Travel, Inc. and Pam Welsh. We have planned trips for just the two of us, family trips that included our children, and large family reunion trips. Long ago it got to the point where we merely call Pam, and give her the basic parameters: the type of vacation trip that we are interested in, the people coming, our cost constraints, the available dates we have to travel, necessary amenities, etc. and leave the rest up to her. She comes back with a list of viable alternative vacation trips. From that point, we simply make a selection, and she does the rest. Pam is extremely thorough in following through on the details so that surprises are kept to a minimum. When individual travelers had to cancel or needed to leave from an alternate destination, Pam follows through. She is extremely flexible in handling late changes both from our end and from the airlines, hotels, resorts, etc. Pam has also been opportunistic in finding and passing along cost savings in areas where I believe most travel agents would not. Sharon and I have been extremely pleased with the services provided by Pam Welsh and Gottago Discount Travel, Inc. and highly recommend her to our friends and family." 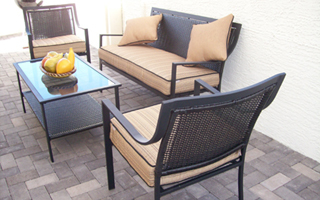 SunBird Golf Resort Rental in Chandler Arizona — Play 18 Hole Golf or Tennis — Enjoy a Sauna, Fine Arts and Fashion! — For Adults, Relax! 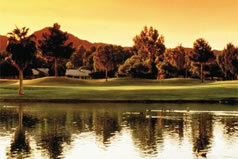 SunBird Golf Resort is located just half hour from the Phoenix airport in Chandler, Arizona. This golf resort is an adult only community. 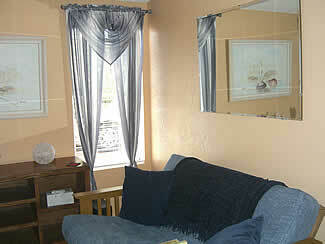 We offer a two bedroom home, two baths with carport. 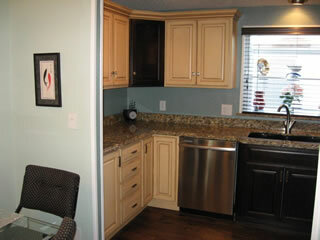 Amenities include air conditioning, washer, and dryer. 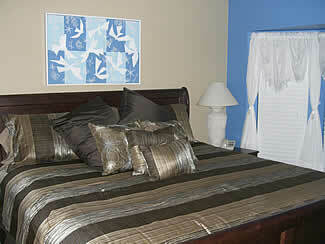 The master bedroom has a queen bed and bathroom with shower and the 2nd bedroom has a double bed. The second bathroom has a shower and tub. 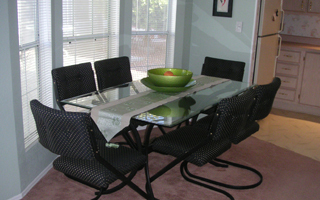 The dining room seats 6 and a fully equipped kitchen. There is TV, DVD & VHS player and also Stereo with CD player and radio. 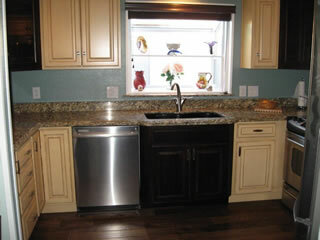 Linens are provided as well as cooking utensils. 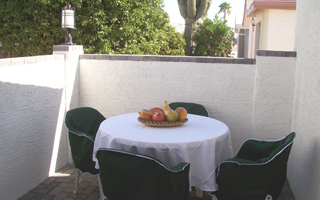 The patio is private with dining area and comfortable patio seating. It has a charcoal BBQ. Telephone for local calls only is provided. 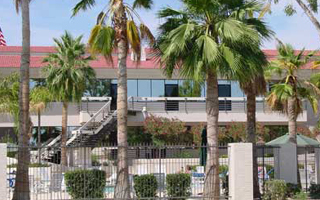 The Sun Bird community has recreation facilities: 18 Hole Golf course that has green fees and rental carts available, Four tennis courts, Two swimming pools, Six shuffleboard courts, Six billiards tables, Two horseshoe pits, Exercise facility that has an indoor whirlpool, and two saunas Library, ceramics room, lapidary room and dance room. 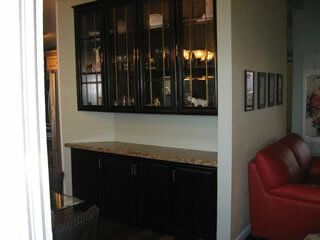 The clubhouse has wireless internet service and a restaurant and bar. A full service USA Post office is also on site for your convienience. You are only a few minutes away from supermarkets and other conveniences. Walking to them is an option. Chandler has a fine arts center that has scheduled performances along with a new Chandler Fashion Center. The Diamondbacks and Cardinals stadium is 30 minutes away. You will also find the Desert botanical gardens and zoo a short distance away. For those that enjoy casinos they are also available. Many places to go and sites to see. The Grand Canyon, Sedona, Flagstaff, Tucson, and Mexico are all accessible. Our clubhouse has sign up for day trips. There are many sporting events to attend: professional basketball, hockey, football and baseball spring training. In the area, you will also find museums, shows and many hiking trails. Exception: January through March monthly only.